A triple action rub off clay mask to deeply cleanse, exfoliate and restore a radiant looking complexion. Pronalen™ fruit acids gently exfoliate and retexture whilst age-defying laracare® and argireline hexapeptide help to minimise the appearance of fine lines on skin and improves skin tone and texture. Beneficial biotilys® probiotic technology helps strengthen and protect skin from daily external aggressions by boosting hydration. 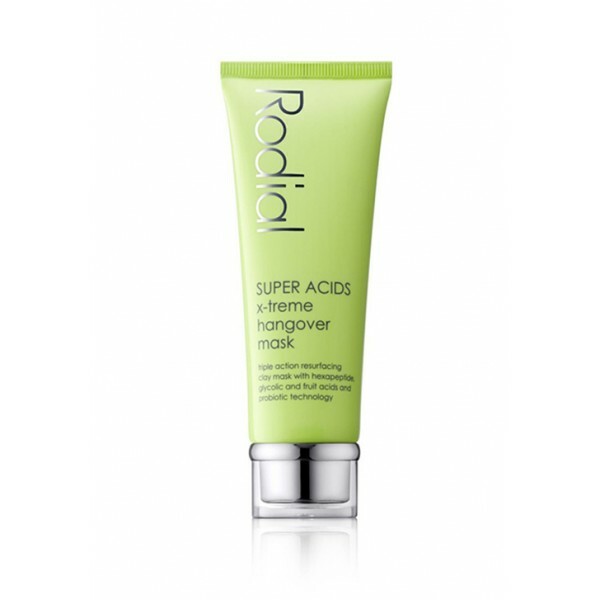 This is the perfect post-party recovery clay face mask to revitalise tired looking skin and draw out impurities. Pronalen Fruit Acid: Exfoliates to eliminate dead skin cells and strongly pigmented cells. Glycolic Acid: Retextures and resurfaces skin. Laracare: Improves the appearance of fine lines and wrinkles. Biotilys Probiotic Technology: Mattifies shine, improves hydration and boosts radiance. Apply once a week on clean skin to the face and neck avoiding the eye area. Leave to dry for a minimum of 5 minutes. Rub off gently with fingertips until most of the mask is gone, then wash off any residue with lukewarm water.